Local Does size matter in sports? Does size matter in sports? What athlete do you look up to? Does size matter in sports? Hi, my name is Jade Kessler, and I’m going to tell you my answers to those questions. Some people look up to professional sport players; for example they might look up to: Kevin Durant #35 for the Golden State Warriors, LebronJames #23 for the Cleveland Cavaliers, or Stephen Curry#30 for the Golden State Warriors. For me, I want to havethe strength and skill of my friend Christina Forsander. This is her story. Some people wonder if size matters in sports. To me it doesn’t. I have a friend who is 4’11” and in eight grade. Her name is Christina Forsander. She’s tiny, but she keeps trying and does her best in every sport she plays. For example, last year Christina was cut from the basketballteam. She has the ability to play the game well, but she was cut. This year she tried out again and made the team. 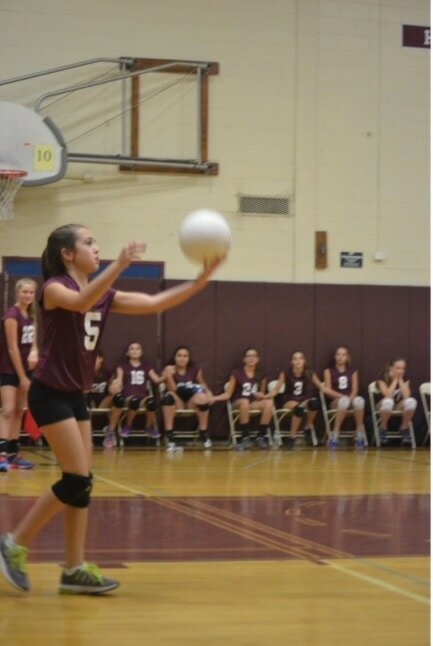 Shealso tried out for volleyball last year, but she then injured her hand in a CYO game. I look up to Christina because she is tiny, but she has taughtme something every time I see her play a sport. She has taught me to never give up, no matter what. For Christina, sports don’t really come easy, but to her that doesn’t matter. In basketball she is over powered by the height and strength of some kids. In volleyball she is over powered by the amount of power she has to use; that doesn’t stop herthough. Forsander is an amazing athlete. Even if she keeps getting “stuffed” or rejected every time she shoots, she will justkeep going for the ball and shooting. She enjoys the game, even if she gets to play for only a few minutes. 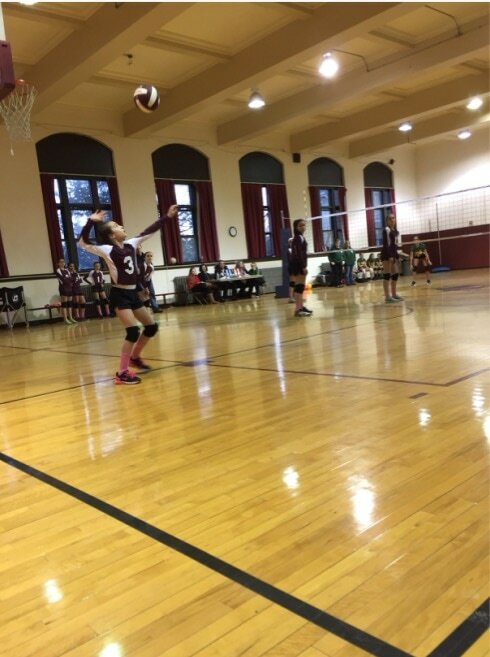 Some people think middle school sports are competitive and that players have to win each and every game. They don’t; every sport you play is about sportsmanship and just having fun, just as Christina taught us.